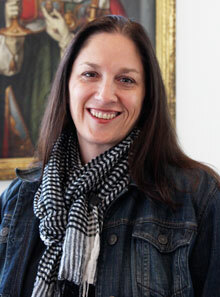 Connie Meulemans is the acquisitions and document delivery specialist at the Mulva Library. In her role, she is responsible for managing the exchange of materials between libraries throughout the state, country and world. If students, faculty or staff are in search of a particular item, Connie facilitates its delivery to St Norbert. On campus, Connie is involved with Kunkel’s Krew and the Martin Luther King Jr. Day of Service. In her free time, Connie enjoys bicycling, knitting and reading. She has an interest in vintage campers and enjoys “glamping” (and camping) with her family. Like the Mulva Library on Facebook. Follow the Mulva Library on Twitter. Follow the Mulva Library on Instagram.